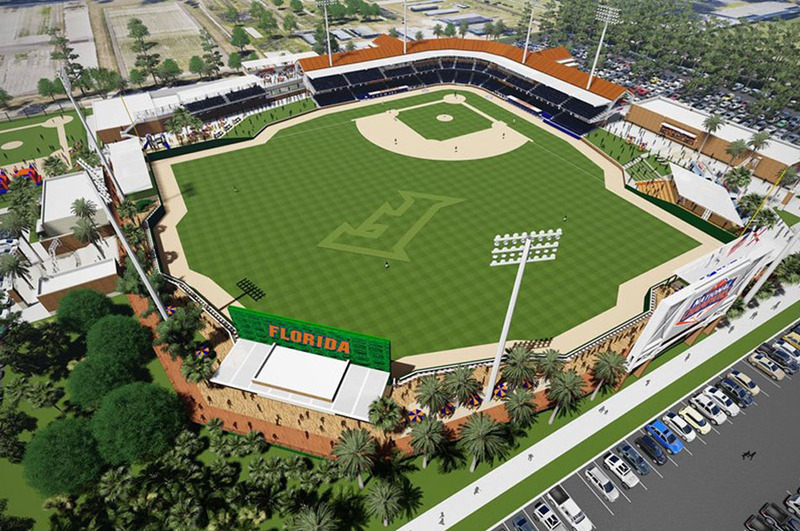 The UF Florida Ballpark is a state-of-the-art baseball stadium at the University of Florida in Gainesville. It will be a 127,900 GSF facility that aims to enhance players’ and fans’ experiences with improved structures and amenities. It will feature of spectator seating with shade structures, stadium club, baseball administration, film/meeting room, weight room, an open concourse, and approximately 450-500 new parking spaces. CHW is providing land surveying, civil engineering, transportation engineering, and landscape architecture services for this project. To learn more about our projects, visit our portfolio.